Following the success of the CET programme at 100% Optical, the Specsavers stand at Optrafair will again be the focus for a world-class programme of CET lectures, peer discussions and quizzes. The programme will equip delegates to meet the challenges and opportunities of practice in an exciting and rapidly changing profession. The sessions are interactive to make the day engaging and to help with retention and application of learning directly to practice. Most places are fully booked but feel free to turn up on the day. Presenters: Jeremy Diamond, Paul Morris and introduced by Doug Perkins. Summary: Specsavers co-founder Doug Perkins will discuss the impact of advancing technology on the scope of practice, changes to collaborative pathways with the expansion of enhanced services and his vision of what needs to happen next to safeguard optometry and transform eye health. Nigel studied optometry as an undergraduate at UMIST, registering as an optometrist in 1993. 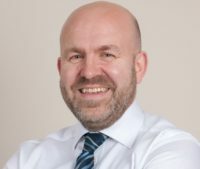 He is a Director of Specsavers in Darlington and Richmond (N. Yorks), a College of Optometrists supervisor and sits on the GOC’s Standards Committee. He has written a number of papers published in peer-reviewed journals and presented at national and regional training events. He has written a number of contributions to optical and medical publications for the public, including sections on eyes and eye diseases for a Reader’s Digest guide. In 2009 Nigel was awarded a Fellowship of the British Contact Lens Association followed in 2010 with Fellowship of the American Academy of Optometry. In 2013 he was awarded his Doctorate from Aston University. He is currently clinical editor of Specsavers’ in-house journal ProFile which has a worldwide readership of more than 10,000 optical professionals. Nigel is Ophthalmic Director of Specsavers in Darlington and works as a community optometrist with a particular interest in contact lenses and dry eye. Mike Horler is the Ophthalmic Director and Clinical Lead at Specsavers Brighton. Alongside this varied role, Mike also works as a specialist optometrist in the macula clinic at Sussex eye hospital and is an AMD Community Optometrist with Special Interest in Brighton & Hove. Jeremy Diamond qualified as a doctor in the mid-1980s from the University of Bristol. After working in emergency medicine, orthopaedic surgery, ENT and neurosurgery, he opted to train as an ophthalmologist. His eye surgical training was split between Cheltenham, Bristol and Perth, Western Australia. Along the way he undertook a PhD at the University of Bristol, studying the natural antibiotics present in the eye. In 1996 he was appointed as the first glaucoma specialist at the Bristol Eye Hospital (BEH). His first action at the BEH was to establish the Shared Care Department, which trained optometrists to work alongside consultant ophthalmologists. In the early years, the shared-care optometrists worked exclusively in the hospital Glaucoma Department. In more recent years, the shared care optometrists have extended their remit to work in support of ophthalmologists in every sub-specialist department in the hospital. 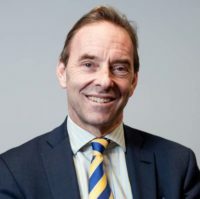 In 2003 Mr Diamond established the Consultant Eye Surgeons Partnership (CESP), which became the UK’s largest partnership of consultant eye surgeons. Several years later, in conjuncture with Darshak Shah, Mr Diamond set up Newmedica, which became the largest private provider of eye care on behalf of the NHS. In 2016, Newmedica became a part of the Specsavers family. 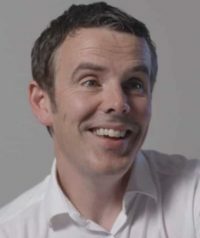 Paul is Director of Optometry Advancement for Specsavers, responsible for furthering clinical scope, professional standards and forming strategy for the group. Alongside this varied role Paul has written, piloted and delivered various Specsavers training initiatives including undergraduate, postgraduate and peer review facilitator training. He sits on the editorial board of ProFile Journal and is a CET article and case author. Paul is also the Ophthalmic Director of Specsavers in Bridgend and Porthcawl. Paul is a Director of FODO, Chair of the Optical Confederation IT and Information Committee and an Optometry Wales Councillor. He has previously worked as a clinical supervisor for the AOP and was founder and Director of BAM Optical Training and Solutions. 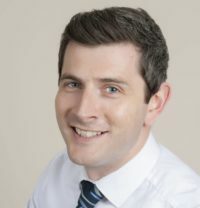 Paul has also held positions at the School of Optometry and Visual Science in Cardiff and in 2011, he began working within WOPEC (Wales Optometry Postgraduate Education Centre) to deliver postgraduate training to a range of healthcare professionals and inform policy. Paul is also a trustee of The FODO Educational Trust. 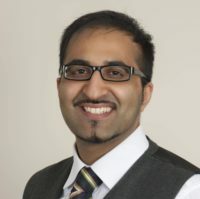 Since qualifying with a first class Honours degree in optometry and attaining the award of clinical excellence from Anglia Ruskin University in 2006, Satvinder has worked in various hospital optometry clinics and community practice roles including part-time specialist contact lens presentations for contact lens manufacturers, delivering workshop presentations and Optometry Manager and Deputy Head of Optometry Birmingham and Midland Eye Centre, City Hospital. 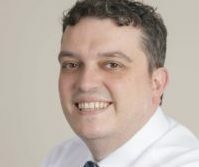 He obtained his Fellowship of the BCLA in 2016 and has recently joined Specsavers as Ophthalmic Director of the Daventry practice and a Head of Enhanced Optical Services. Ross is an experienced optometrist, pre registration optometrist supervisor and a clinical director of Specsavers Swaledale and RCO Ltd, a company which develops and delivers training material for optical conferences and develops optometrist skills and knowledge for provision of enhanced optical services. Having completed a Human Biology degree in 1994, Rachel Thomas worked for several years in the field of educational technology for visually impaired students. She then re-trained in optometry, achieving a first class Honours degree from Aston University in 2001. 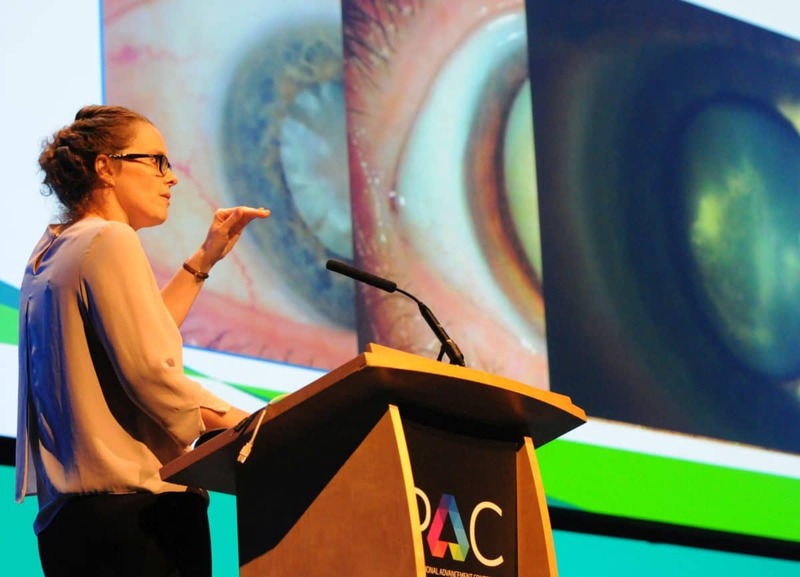 Following a pre-registration year at Moorfields in London, Rachel combined hospital optometry with private practice work. In 2009 she moved to Moorfields at Bedford to set up the optometry department. She is now the Lead Optometrist at Bedford and combines extended role clinical work in the fields of Paediatrics, Medical Retina and Acute eye care with work on the Shared Care Cataract Scheme and diabetic retinal screening, triage of referrals, liaison with community optometrists and clinical audit. A qualified and registered optometrist of more than 50 years, Doug studied optometry at the Welsh College of Advanced Technology in Cardiff (now Cardiff University). Doug is accountable for the overall success of the Specsavers Partnership. He also has specific responsibilities for driving professional standards and influencing the regulatory agenda across all Specsavers markets. 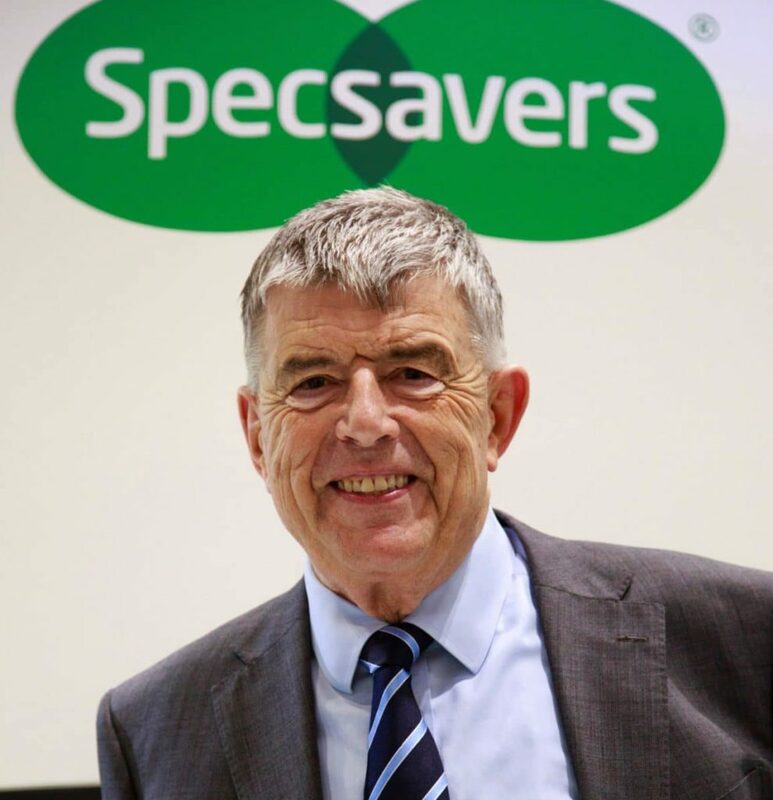 With his wife Dame Mary, he established Specsavers’ joint venture partnership model in 1984 with the vision of making eye care more affordable. There are currently more than 1,700 partners in the UK and Republic of Ireland alone, of whom 548 have been with the Partnership for at least 10 years. Doug supports several UK charities including Royal National Institute for Blind People, International Glaucoma Association, Guide Dogs, Hearing Dogs for Deaf People, and Vision Aid Overseas, for whom Specsavers stores have raised enough funds to build a school of optometry in Zambia and open eyecare outreach clinics in many parts of the country. Doug has an Honorary Fellowship from Cardiff University and Honorary Doctorates from Anglia Ruskin and Plymouth Universities. Adam Wannell is Head of Clinical Optometry with responsibilities in both Specsavers and Newmedica for clinical training and development. Together with being a former Head of Enhanced Optical Services, his clinical background includes being the director of a community practice involved in delivery of a range of enhanced services, medical optometrist at the Bristol Eye Hospital and glaucoma module leader, Wales Optometry Postgraduate Education Centre (WOPEC). He has postgraduate diplomas in therapeutics and glaucoma from the College of Optometrists, a diploma in sports vision, an MSc in Clinical Optometry from City University, London and is registered as an Independent Prescriber. Alongside significant experience in delivering lectures, workshops and peer discussions, he has also completed a postgraduate clinical teaching module.